The clinging power of octopus tentacles has inspired a breakthrough new adhesive patch that works on wet and oily surfaces with potentially huge medical and industrial uses, according to South Korean researchers. Octopuses are among the most intelligent and behaviourally diverse of all invertebrates, but it was their extreme strength that attracted the interest of the research team from Sungkyunkwan University. "Two years ago, we bought an octopus from a Lotte Supermarket, put its suction cups under a microscope and analyzed how they worked," researcher Sangyul Baik told AFP. The team found the octopus' impressive suction power was thanks to small balls inside the suction cups that line each of their tentacles. The new "wet-tolerant" adhesive patch has been hailed as a breakthrough by the country's science and technology ministry and there are hopes it will be able to be used for everything from heavy industry to dressing wounds. Professor Changhyun Pang said they had managed to fabricate polymer patches covered with micro suction cups with suction patch so strong that a patch the size of a thumbnail could lift an object of up to 400 grams in water. It can also be used repeatedly, with one patch surviving more than 10,000 cycles of attachment and detachment without losing its suction power, he said. 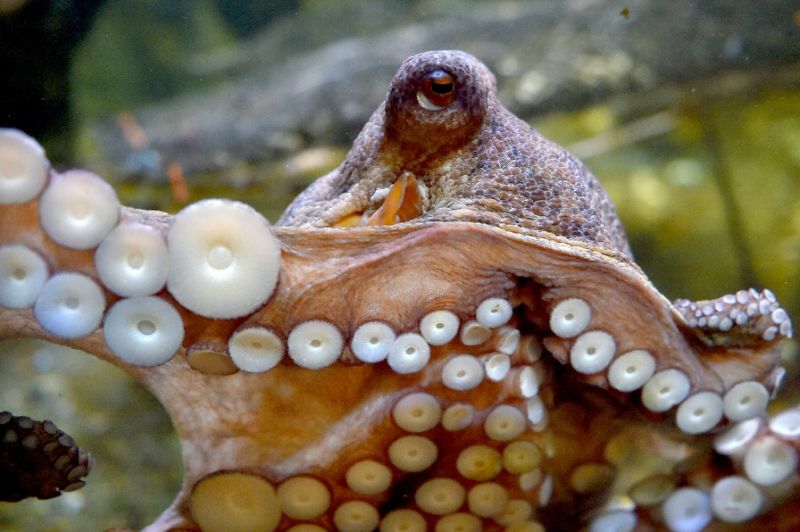 "This octopus-inspired system exhibits strong, highly repeatable adhesion to silicon, glass, and rough skin surfaces under various conditions -- dry, moist, underwater, and under oil", according to the research paper, which was published in Nature last week. The team released video footage demonstrating how the patches work on both dry and wet surfaces, including human skin. The patch could be used for medical purposes, including to help suture wounds, as they do not contain any chemical adhesives so will not irritate skin, Pang said, adding there is currently no adhesive system that can maintain its grip in water without using strong chemicals. The research team expect it to take around three years for the breakthrough to come into commercial use. Octopus are widely available in South Korea's supermarkets and restaurants, where they are considered a delicacy by some when eaten raw.